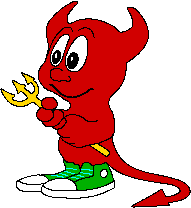 This page contains miscellaneous FreeBSD art . Suggestions for additions can be sent to www@FreeBSD.org. Please note the usage policy for these graphics. Source: /usr/share/examples/BSD_daemon/ on FreeBSD systems. 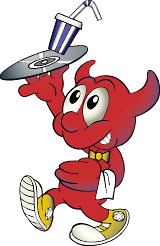 The Powered by FreeBSD logos above may be downloaded and displayed on personal or commercial home pages served by FreeBSD machines. Use of this logo or the likeliness of the BSD Daemons for profitable gain requires the consent of Brian Tao (creator of the power logo) and Marshall Kirk McKusick (copyright holder for the BSD Daemon image). 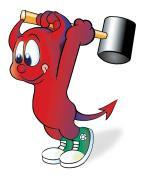 Poul-Henning Kamp's rendering of the BSD Daemon is released under THE BEER-WARE LICENSE . See the README for more information. The FreeBSD Foundation holds several FreeBSD related trademarks (among them the trademark for the term FreeBSD itself). 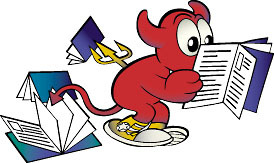 For more information about these trademarks read the FreeBSD Trademark Usage Terms and Conditions.